This year, celebrate Holi responsibly. Beware of industrialized Holi colors that contain chromium, mercury, and lead. Exposure to these colors can cause allergies and extreme irritation to the skin, scalp, and eyes! Invest in organic or herbal colors. 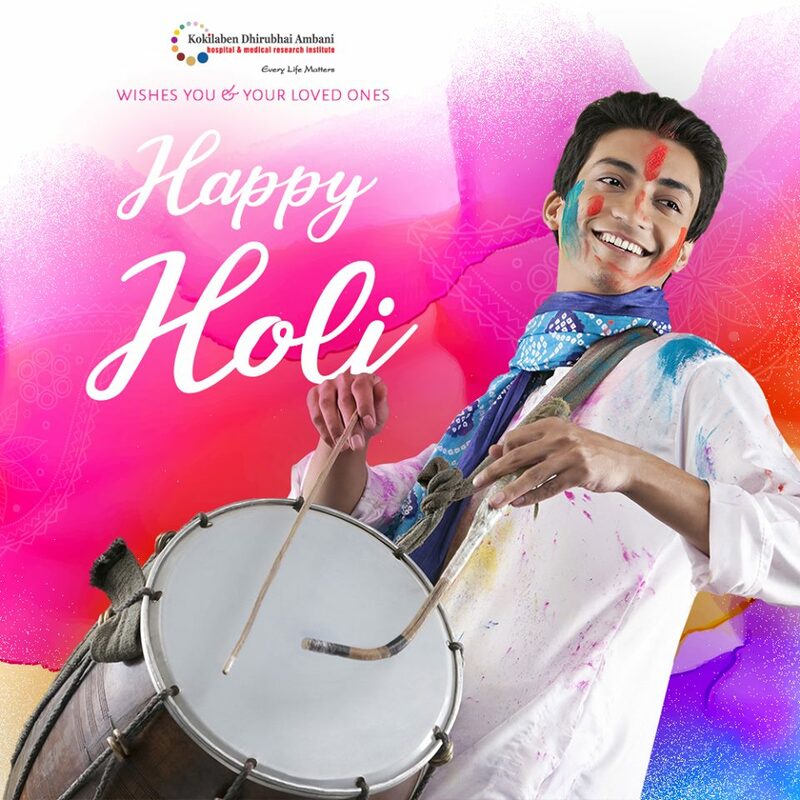 Kokilaben Dhirubhai Ambani Hospital wishes everyone a Happy and Healthy Holi.